To celebrate Quebec’s national holiday « Saint-Jean Baptiste », Tastet has put together a list of places where all those casse-croûtes flavors found throughout « La Belle Province », will sweep you away on this upcoming June 24 ! All the festivities that take place in Quebec on June 24 commemorate our rich history and culture. The definition of Quebec’s gastronomy would be sorely incomplete without the words poutines, smoked meat or steamies! Whether you’re a foodie fan or not, we all enjoy a good Quebec snack every so often, be it in our own kitchens or at a roadside spot. These simple, but oh-so-yummy snacks are synonymous for so many of us with family moments, like summer holidays, and friendships – food that comforts us or is eaten ….. just because. This list covers a wide range of places in Quebec that will definitely satisfy any desire for delicious snacks! 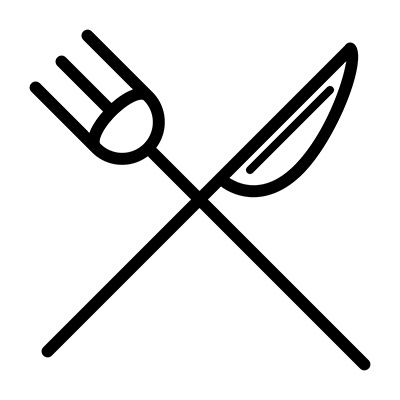 Maybe you’ll discover a place near you, or maybe our list will help you plan a foodie stop on your next road trip in the province. One thing we do know, however, is that it will provide a great reason to explore casse-croûtes from Pont-Rouge to the Gatineau or from Trois-Pistoles to the Gaspé. In pursuit of these snacks, it may even take you on your own discovery trip to unknown corners of our province. Also, if you don’t have the chance to travel around the province, Tastet has a list of best poutines in Montreal or the best burgers in the city! We’d like to take this opportunity to share with you our latest exciting news – Tastet has recently launched its Quebec City guide of gastronomy discoveries in our capital! To discover this new platfrom, click here. We wish everyone an excellent Saint-Jean-Baptiste, together with some foodie discoveries of your own, full of local delights ! If you know of any other places that should be added to our list of « Best Casse-croûtes », please send us your suggestions : info@tastet.ca Thank you! Grégoire Restaurant — Ville Mercier — Since 1945, Grégoire et fils has been an institution in the city of Mercier. This is where the poutine is excellent (their specialty!) and the smoked meat is delicious. Casse-Croûte du Vieux-Moulin — Pont-Rouge — This seasonal snack bar is a Pont-Rouge landmark! Extremely popular with its customers, its excellent poutine (which is loaded with cheese curds!) attracts huge numbers of locals and lots of visitors. Le Roy Jucep — Drummondville — Another longtime landmark, and in business for over 5 decades. Le Roy Jucep likes to call itself « the inventor of poutine »! We like the retro atmosphere in this Drummondville place, not to forget their famous local specialty. Chez Ben on s’bourre la bédaine — Granby — It all started way back in 1950, when Bernard ‘Ben’ Dubé was preparing meals in his own trailer that was doubling as his snackbar. Ben’s quickly became popular and is considered to be an icon in the city of Granby! You come here to devour the deliciously fresh food and unforgettable soft ice cream. Cantine d’Amours — Trois-Pistoles — La Cantine D’Amours is renowned in the city of Trois-Pistoles for its excellent cheeseburgers and delicious poutine. A must-try if you’re in the area! Mamie Pataterie — Saint-Roch-des-Aulnaies — A unique ‘pataterie’ that has everything to charm you! The friendly owners serve updated snackfood with their own gourmet touch. 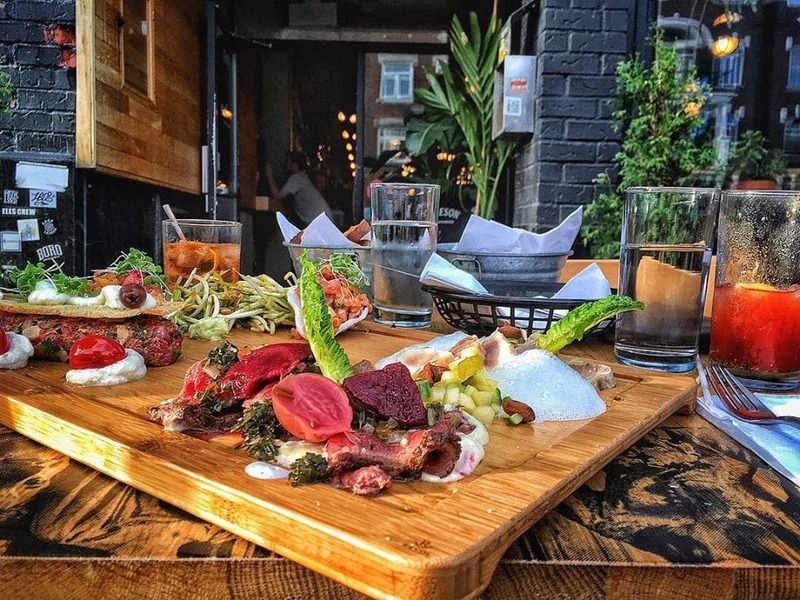 These are dishes that showcase the excellent local products like lobster, bison, and local cheeses. A really superb time awaits everyone at Mamie’s. La Frite à Mononcle — Sainte-Adèle — La Frite à Mononcle is a very popular spot in the town of Sainte-Adèle. The poutines are really good and so are the delicious burgers, all to be enjoyed in friendly surroundings. Pataterie Hulloise — Hull — This is a true ‘potato shack’, very busy and located in Hull. In a lively and colorful atmosphere, the place is known for its tasty poutines and generous portions. Try the classic poutine or choose your own custom poutine from their list of ingredients. Casse-croûte Ti-Oui — Saint-Raymond — The Ti-Oui snackbar located in Saint-Raymond is known for its excellent poutines and delicious chicken! During the summer months, there’s a dairy bar operating as well! Everyone is friendly here. Chez Morasse — Rouyn-Noranda — Another legendary spot, serving their poutine for coming up to 50 years, and they claim it to be the best in the world! There are several variations of this speciality on offer at Chez Morasse, including one with pogos (corn dogs) and another with Shepherd’s Pie (!). This is a great place for a late-nighter snack, since it is open 24/7. Mazmelle Maria — Maria — This snackbar can be found in the small municipality of Maria, in the Gaspé Peninsula, and is a perfect place to stop when you are yearning for some really good typical Quebec food. In addition to serving delicious fries, poutines and burgers, Mazmelle also offers local specialties such as lobster rolls, fish soup, poached soup and a lobster club sandwich. Cantine de la gare — Rimouski — very good snacks in simple and friendly surroundings away you at this Rimouski snackbar. Their poutines are what stand out and you can order them from a list that has a whole bunch of different kinds – just what your taste buds are looking for ! 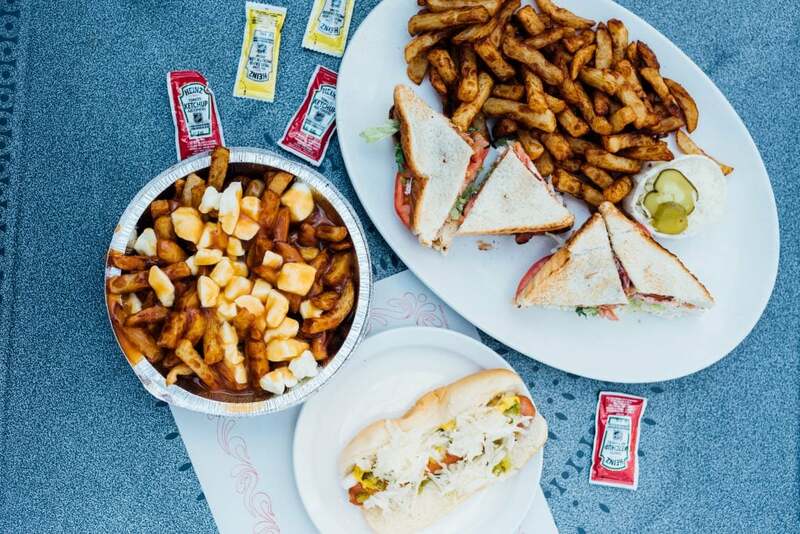 Cantine Armande — Chute-aux-Outardes — Located in Chute-aux-Outardes, this snackbar has created many faithful followers who come for the burgers and delicious homemade poutines. Simple and classic, we like the place for its friendly atmosphere and the generosity of the servings. Chez Cathy — Rivière-au-Renard — Chez Cathy’s offers you a tradition that is extremely rare in Quebec today : drive-in service (!). The place is loved by the locals for its mouthwatering poutine which stands out for its quality and fresh ingredients. A classic that awaits you in Gaspésie. Cantine Hurteau — Sorel-Tracy — Cantine Hurteau is a local landmark in Sorel-Tracy! This small snackbar serves well-made classics. Like many other places on this list, the customers swear that this poutine is the best ever ! Chez Dave et Dan — Saint-Liboire — Chez Dave et Dan is a seasonal snackbar run by the people who live in Saint-Liboire! All the food here is decadent and generous portions are the norm. This place has a good reputation and worth a visit to taste some real Quebec classics. Cantine Bolduc — Sainte-Marie — Open only during the summer, Cantine Bolduc is a foodtruck that serves typical Quebec food, and it’s really good ! The snackbar is mainly known for its excellent fries and good steamies. Chez Tousignant — Montréal — Considered to be one of Montreal’s top go-to snackbars, they serve one of the best burgers in town, as well as several classic dishes updated with their own version! This place is one of our favorites – and the favorite of many others – in Montreal. Paulo and Suzanne — Montréal — Paulo et Suzanne’s has been in operation for over 30 years and is a great Quebec snackbar, the kind we like! They are very friendly, and serve some of the best fries and burgers in town. Paul Patates — Montréal — Another longtimer, Paul Patates opened in 1958 and is a landmark the Pointe-Saint-Charles neighborhood. What stands out are the freshness and quality of the food. Among all its excellent snacks, we come here especially for the excellent steamies, the delicious fries and amazing poutines ! Patati Patata — Montréal — Patati Patata is a charming “Friterie de Luxe” in Montreal that, for over 20 years, has been serving one of the best poutines in the city. Don’t be deceived by the small size – Patati Patata has a reputation of mythical proportions !